Invesco are producing a series of research and strategy papers entitled ‘Risk and Reward’. The second in the series deals with the theory and practice of portfolio insurance. The starting position is to consider portfolio risk not in terms of volatility but in terms of ‘maximum drawdown’, which is defined as the maximum loss of value. Chris Dillow, of Investors Chronicle and the Financial Times, would probably argue that the easiest way to hedge your exposure to the market is to hold a proportion of its value in cash. While the return on cash is close to zero, its capital value is secure (at least in nominal terms), it is extremely liquid and fungible, and is simple to manage. Invesco describes how an allocation to cash can be utilised as a static portfolio insurance using a stop-loss. The example in the paper (for a mixed asset portfolio) is of a stop loss of 5% below the portfolio at the beginning of each year. Historically, such a stop-loss would have been triggered in September 2009, thereby avoiding most of the losses from the 2008/9 recession. This would, as Invesco imply, be a rather crude approach (at least as suggested) and indeed, one might argue that with currently high cross-correlations between asset classes, the risk of a trigger from mere market noise cannot be precluded. 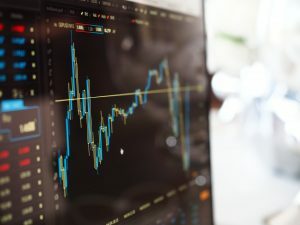 A more sophisticated approach is option-based portfolio insurance and, in the example quoted, this involves the purchase of a European put option. As Invesco points out, such a strategy can be expensive, since the option premium is payable on a yearly basis, even though insurance is not required for the majority of time. A refinement is the creation of a synthetic option (how this is created is elaborated on) with a determined floor value, although one weakness would be the need for frequent portfolio reallocations. 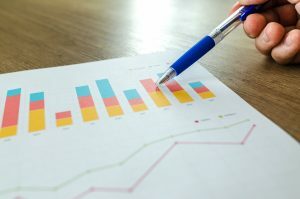 Invesco believes, however, that performance of this strategy would have matched that of the underlying multi-asset portfolio – with substantially less volatility and a lower maximum drawdown: in effect, a free lunch. The third strategy is a dynamic variant of the classic CPPI (constant proportion portfolio insurance) strategy. While the static variant would have prevented catastrophic drawdowns during the 2008/9 recession, it would also have left significant return potential unused over the long term. In contrast, in the dynamic variant, the exposure of the portfolio reacts to changes in the risk forecast – ensuring that it does not remain artificially low as a result of a constant conservative risk assumption. For this, a Copula-GARCH model is proposed for forecasting the ‘expected shortfall’. Although the strategy actively adjusts exposure, it fluctuates to a lesser degree than with the synthetic put. This strategy would have actually delivered a marginal excess return compared with the pure multi-asset strategy while obviating the purchase or replication of an option, and can also be easily and flexibly adapted to accommodate changing investment demands. The fourth strategy is a conservative variation of the third – a time invariant portfolio protection strategy which locks in a portion of gains achieved with the portfolio. The floor is ‘ratcheted up’ as soon as a new high is reached in portfolio value. Perhaps the paper could have added two caveats. No transaction costs are accounted for, and the conclusions that the third strategy is the most attractive is based on historical experience, with no guarantee that the future will be similar. Thank you for reading this research article, we hope you enjoyed it. Which strategy best fits with your investment goals, targets and ambitions? Please lets us know. We look forward to hearing from you. You can find more research articles, interviews, podcasts, videos and investment insights on our website and across some of our social media platforms that include Twitter, LinkedIn, AudioBoom, iTunes, YouTube and Facebook .